Nothing smells better than the combination of garlic, butter and shrimp wafting out of a kitchen. It’s the perfect collision of simple flavors that come together in an incredible way in no time at all. Plus, it can be used with so many sides: Pasta Aglio e Olio (which cooks up in not time at all), over rice with a splash of soy sauce, with a hunk of crusty bread and a squeeze of fresh lemon. 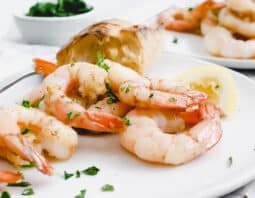 Raw shrimp is best in a recipe like this because we find it has more flavor and you are less likely to overcook it, which is super easy to do with shrimp. 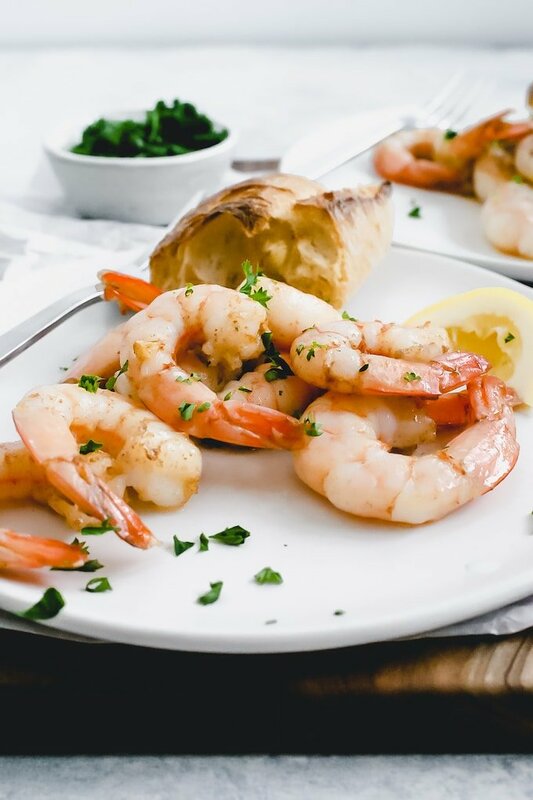 If you can’t find raw shrimp, just be sure to decrease the cooking time. The shrimp will only take 2-3 minutes to heat through. Shrimp becomes tough when it’s overcooked, so watch it closely. 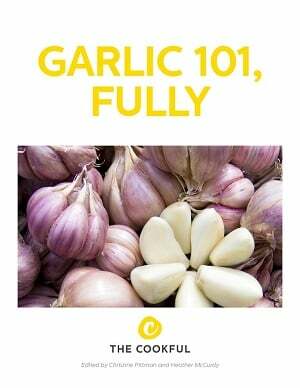 And this may go without saying, but just in case, in a recipe with garlic in the title, fresh is the way to go. The garlic in this simple recipe is really highlighted, so you’ll want the best quality there is, which can only come fresh from a clove. If you really are a garlic lover, add in a few more cloves. 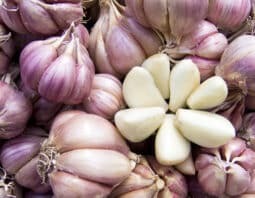 We believe that more garlic is never a bad thing, especially since we know the best tips for how to combat the inevitable garlic breath afterward. To the pan, add minced garlic and cook, stirring frequently until fragrant. It only needs about a minute, so be careful not to burn it. Add shrimp to the pan and cook for about 4-6 minutes, until shrimp is cooked through and opaque. Don’t overcook. Remove from heat squeeze lemon over shrimp and sprinkle with fresh parsley.